These cumin grilled chicken breasts are a tasty 30 minute recipe that is made with an easy spice rub. The rub has just three ingredients and gives the chicken a savory Middle Eastern flavor. The recipe can be cooked in the oven, or on a stove top or outdoor grill which makes it very versatile. Making these Cumin Grilled Chicken Breasts. I love easy recipes. They are perfect for busy cooks. 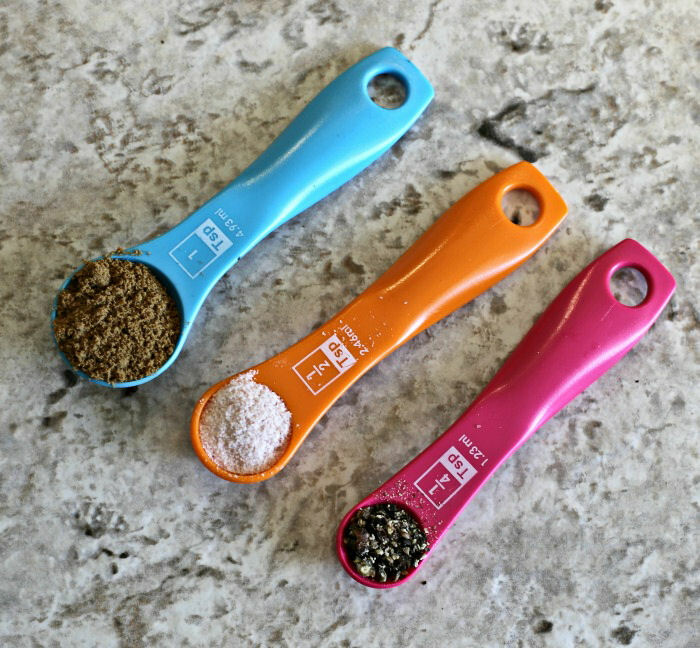 Today’s spice rub uses just three ingredients – ground cumin, sea salt and cracked black pepper. But don’t let the ease of making it fool you. It packs a delicious punch. Just give the spices a few mixes with a fork and spread it over the chicken breasts. The cumin has a lovely smokey flavor that I normally save for curries, but it also makes a great rub for protein like this chicken. 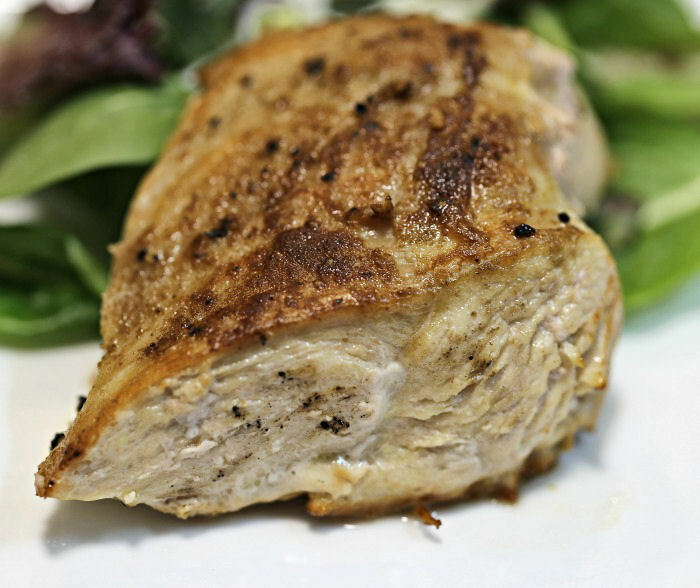 I used boneless skinless chicken breasts but the rub also tastes great on any chicken choice. How versatile is this recipe? This recipe can be done several different ways. Today, I seared the chicken breasts in a pan on the stove and finished them off in the oven, but I have also cooked it on both a stove top grill pan, or an outdoor pan using bone in chicken breasts with great success. To cook the chicken on the stove, just sear on both sides in olive oil until browned, then finish in the oven for about 20 minutes. Too cook on the grill indoors, spray it with cooking spray and cook 6-7 minutes on each side. And for an outdoor BBQ, just grill normally. These chicken breasts are tender and moist with a subtle Middle Eastern flavor on the outside which comes from the spicy rub. I like to serve them with a fresh garden salad. These cumin grilled chicken breasts are super easy to make, but don’t tell anyone – it’s our secret! The recipe is gluten free, and also fits into a Paleo or Whole30 diet plan. This recipe serves four with only 182 calories each (even less if you cook on the grill and don’t use the extra oil). It is high in protein, low in fat and low carb, too. 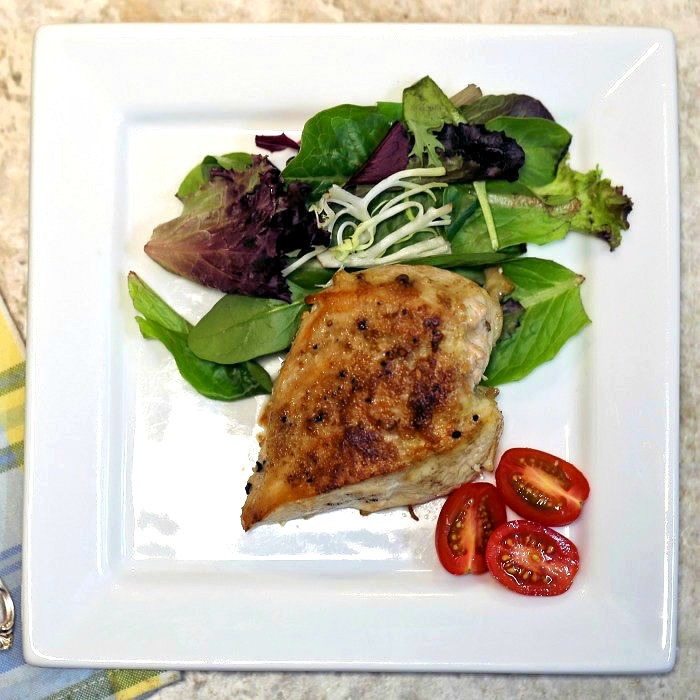 Admin note: This recipe for cumin grilled chicken first appear on the blog in November of 2013. I have updated the recipe with a step by step tutorial and adapted it for both oven and grill. I have also included the nutritional information for the recipe. These cumin grilled chicken breasts are a tasty 30 minute recipe that is made with an easy spice rub. The rub has just three ingredients and gives the chicken a savory Middle Eastern flavor. 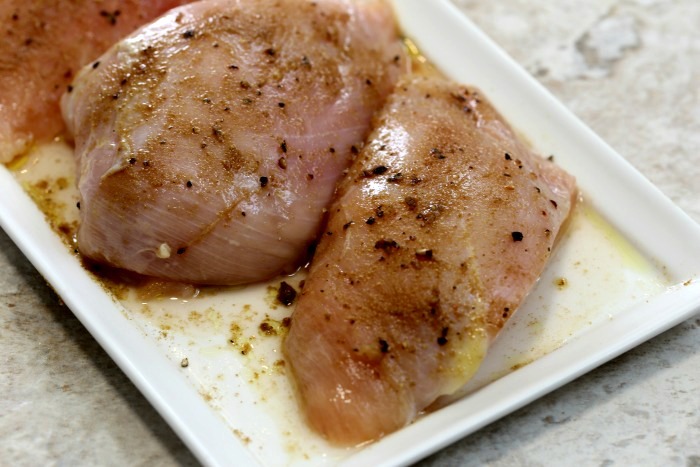 Rub the chicken breasts with 1 tsp of olive oil. Combine cumin, salt and pepper to make a rub. Spread the spice rub evenly onto the chicken breasts. Heat 1 tbsp of olive oil in an oven proof saute pan. Sear on both sides for 2 minutes until lightly browned. Transfer to a preheated 350 degree oven for 20 minutes. Spray an outdoor grill or grill pan with cooking spray and heat to medium-high heat. 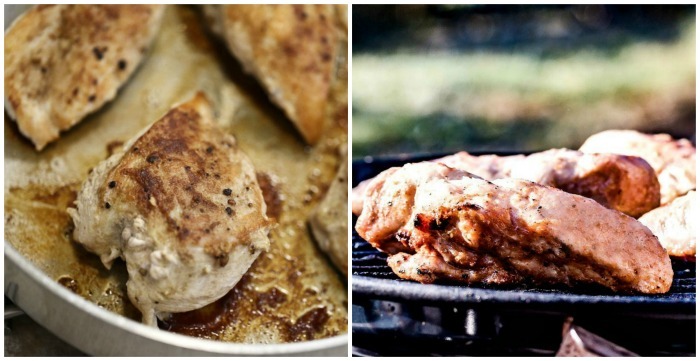 Grill until grill marks have formed and chicken is cooked through, about 7-8 minutes per side depending on how thick the chicken is. Remove from heat, let rest for a few minutes, and then slice into 1/2-inch thick slices.